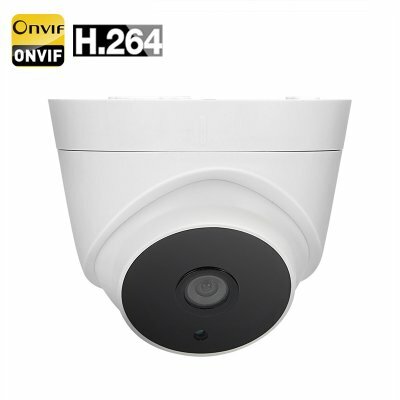 Successfully Added Indoor 720p IP Camera - 1/3 Inch CMOS, Android + iOS Support, 30M Night Visison, IR Cut, Snapshot Notification, ONVIF 2.0 to your Shopping Cart. With Motion detection alarm and 720P resolutions this camera captures high definition images for crystal clear security. Enjoy instant security viewing through the internet as this indoor IP camera can send you footage to your phone anywhere in the world. With ONVIF 2.0 its quick and easy to add to your existing security system and once installed you can receive notification on your Android or iOS Smartphone using the Goolink App. With email or snapshot notification you will get pictures of any suspicious activities that trip the cameras motion detection alarm mode. Making use of IR cut and night vision LED lights the indoor security camera can clearly see up to 30 meters in low lighting conditions so brings around the clock coverage of indoor locations. The 90 degree wide viewing angle lets you place the camera in a corner to cover offices and large rooms with ease. This indoor IP Camera comes with a 12 months warranty, brought to you by the leader in electronic devices as well as wholesale indoor CCTV cameras..